SAN JOSE, Calif.–(BUSINESS WIRE)–Adobe (Nasdaq:ADBE) today reported financial results for its second quarter fiscal year 2017 ended June 2, 2017. Adobe achieved record quarterly revenue of $1.77 billion in its second quarter of fiscal year 2017. Diluted earnings per share was $0.75 on a GAAP-basis, and $1.02 on a non-GAAP basis. Digital Media segment revenue was $1.21 billion, with Creative revenue growing to a record $1.01 billion. Strong Creative Cloud and Document Cloud adoption and retention drove Digital Media Annualized Recurring Revenue (“ARR”) to $4.56 billion exiting the quarter, a quarter-over-quarter increase of $312 million. Adobe Experience Cloud achieved record revenue of $495 million, which represents 29 percent year-over-year growth. Operating income grew 46 percent and net income grew 53 percent year-over-year on a GAAP-basis; operating income grew 42 percent and net income grew 43 percent year-over-year on a non-GAAP basis. Cash flow from operations was $645 million, and deferred revenue grew to approximately $2.07 billion. The company repurchased approximately 2 million shares during the quarter, returning $266 million of cash to stockholders. Adobe will webcast its second quarter fiscal year 2017 earnings conference call today at 2:00 p.m. Pacific Time from its investor relations website: www.adobe.com/ADBE. Earnings documents, including Adobe management’s prepared conference call remarks with slides, financial targets and an investor datasheet are posted to Adobe’s investor relations website in advance of the conference call for reference. A reconciliation between GAAP and non-GAAP earnings results and financial targets is also provided on the website. This press release contains forward-looking statements, including those related to the relevance of our products to our customers, business momentum, revenue, annualized recurring revenue, non-operating other expense, tax rate on a GAAP and non-GAAP basis, earnings per share on a GAAP and non-GAAP basis, and share count, all of which involve risks and uncertainties that could cause actual results to differ materially. Factors that might cause or contribute to such differences include, but are not limited to: failure to develop, market and offer products and services that meet customer requirements, introduction of new products, services and business models by competitors, fluctuations in subscription renewal rates, failure to successfully manage transitions to new business models and markets, uncertainty in economic conditions and the financial markets, complex and unpredictable sales cycles for some enterprise offerings, risks associated with cyber-attacks and information security, potential interruptions or delays in hosted services provided by us or third parties, changes in accounting principles, and failure to realize the anticipated benefits of past or future acquisitions. For a discussion of these and other risks and uncertainties, please refer to Adobe’s Annual Report on Form 10-K for our fiscal year 2016 ended Dec. 2, 2016, and Adobe’s Quarterly Reports on Form 10-Q issued in fiscal year 2017. The financial information set forth in this press release reflects estimates based on information available at this time. These amounts could differ from actual reported amounts stated in Adobe’s Quarterly Report on Form 10-Q for our quarter ended June 2, 2017, which Adobe expects to file in June 2017. © 2017 Adobe Systems Incorporated. All rights reserved. Adobe and the Adobe logo are either registered trademarks or trademarks of Adobe Systems Incorporated in the United States and/or other countries. All other trademarks are the property of their respective owners. More detail on this fanancial statement is aavaiable on the Adobe website. Press release issued by Adobe Systems Inc.
Over the years, the Elements products have emphasized easy photo and video organization, editing, creation, and sharing. Elements combines powerful behind-the-scenes technology magic adapted from our professional apps with a user friendly UI and modes for every level of user to deliver an ideal mix of power and ease-of-use for creating and sharing your special moments. As you’ll see, there are a number of exciting new features and enhancements to make your photos as amazing as your memories. Touch Enabled – Touchscreen laptops and desktops continue to grow in popularity, and our Organizer and Quick Edit mode are now touch friendly so that you can simply tap to do all your finding, sorting, and quick enhancements. Enhanced Search – Finding the right photo and video is always a challenge and with Elements 15 we’re making it a whole lot easier. Now you can find the exact photos and videos you’re looking for by searching on a combination of things, including places, events, and other favorite subjects. Smart Tags – Elements now automatically tags your photos based on subjects like sunsets birthday, dogs, cats and more. As a result, you’ll spend less time tagging and more time creating. Enhanced Instant Fix – And speaking of saving you time, we’ve enhanced the instant fix functionality so that you can quickly and easily edit a batch of photos at one time. New Guided Edits – Guided Edits transform seemingly complex tasks into easy to follow step-by-step instructions that guide you to fantastic results. 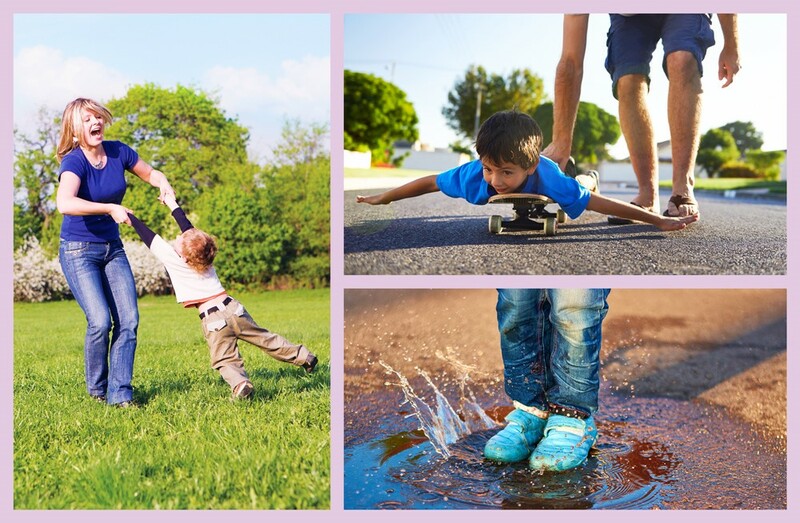 Photoshop Elements now offers 45 Guided Edits, including five brand new ones in this release. Photo Text: Now you can easily transform any photo into cool visual text and add an embossed look and drop shadows to really make it pop. It’s great for anyone creating collages, scrapbook pages, cards, signs, and more. Painterly: Convert your photos into unique works of art. Painterly teaches you how to paint an effect over your subject and then add textures and colour themes—perfect for sharing on social media or as a printed keepsake. Speed Pan: Don’t know how to or weren’t able to catch the perfect speed-pan action shot? No problem. This new guided edit adds a motion blur behind your subject to create the dramatic effect. Adjust Facial Features –. 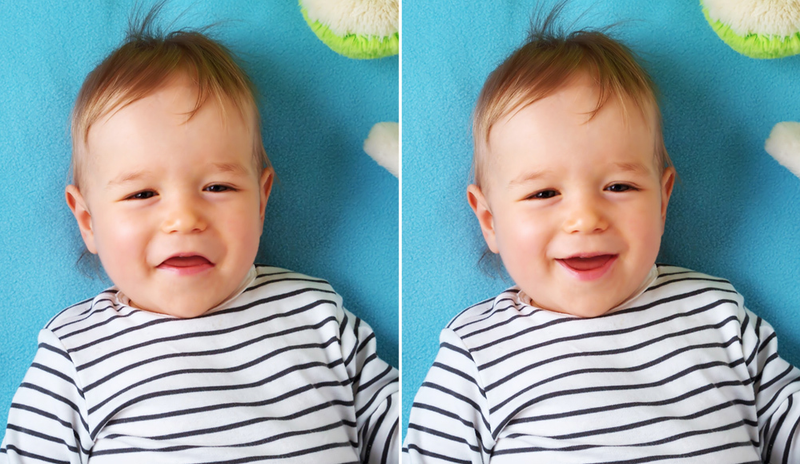 Turn frowns upside down, adjust squinting eyes, and make other quick tweaks so everyone in your photos looks their best. Enhanced Filter Gallery – Filters are a great way to try on new looks and show off your creativity, and now it’s even easier to choose the best filter for your photo and fine-tune the details. Layer Adjustment Guided Edit – Another opportunity to impress people with your editing chops. This new Guided Edit makes it easy to give your movie a signature look by applying effects across multiple clips or your entire movie at once. Haze Removal – You loved it in Photoshop Elements and now we’re bringing it to Premiere Elements. 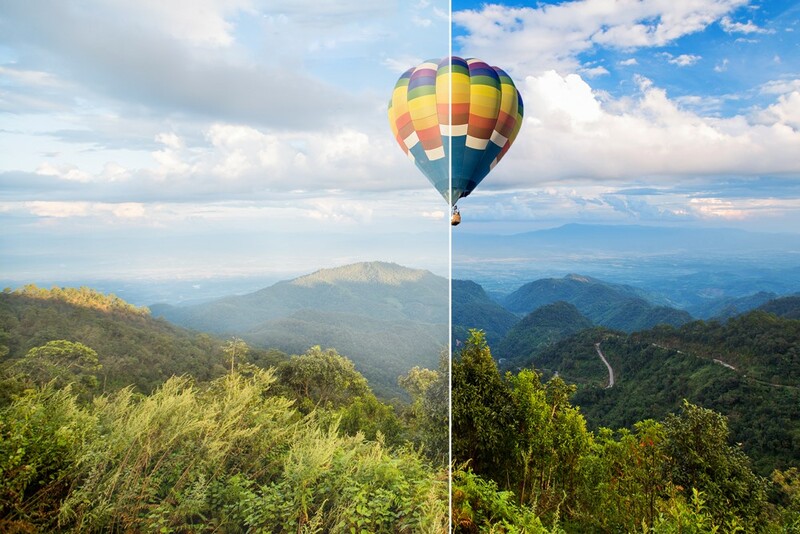 New Haze Removal enables you to easily remove haze to make the background of your scenes as crisp as what’s up front. Remix – We’ve eliminated the frustration of matching different length music files with your video clips. Pick any music file, and it can be easily remixed to match the length of your movie with a natural sound and transition so you never lose the soul of your audio. Face Detection – We’ve added face detection to Smart Trim, Favorite Moments and Pan and Zoom, giving priority to footage of what matters most – the people in your videos – when suggesting places to trim. With face detection, you’ll get a great movie of friends and family without that unnecessary footage. Video Collage – create dynamic collages with photos and videos that show many memories at once. A fun and creative way for sharing on Facebook, YouTube, and other social sites. These are just some of the new and enhanced features in Photoshop Elements 15 and Premiere Elements 15. For a complete list of what’s new and improved, please visit here. Be sure to check out project tutorials here and follow us on Facebook. We hope you’re as excited about this release as we are and look forward to your feedback.